In this 5-minute preview of a July 30th public meeting, BCB’s Lyssa Danehy deHart speaks about ferry issues for cyclists and pedestrians with two knowledgeable sources. In 2012, City Council members Anne Blair and Debbi Lester met with members of the City’s Non-Motorized Committee and Squeaky Wheels to plan the successful grant application. Jim Sprott (in red) voluntarily created engineering drawings that showed feasibility and helped obtain the grant funds. 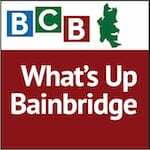 This podcast episode features Chris Hammer, who is the Engineering Manager with the Public Works Department of the City of Bainbridge Island, and Don Willott, who is a long-time active citizen-volunteer member of the City’s Non-Motorized Transportation Advisory Committee. 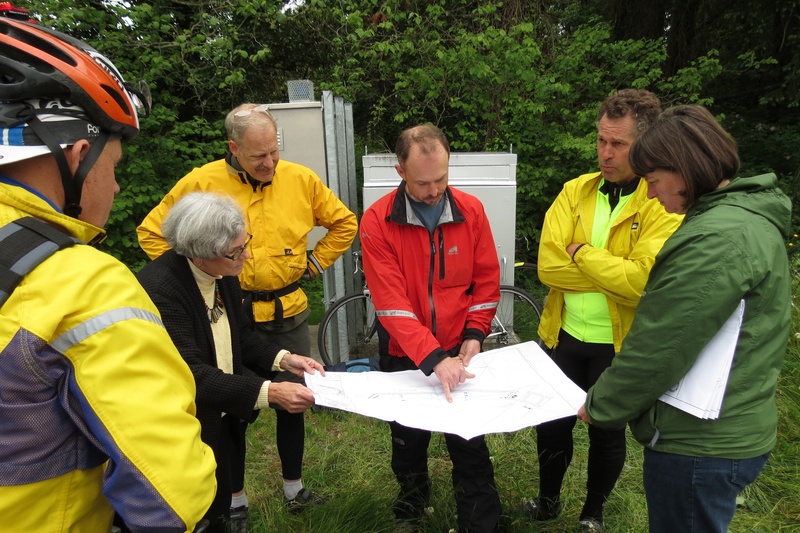 In this podcast, they discuss the upcoming public meeting to help determine the design for this project for roadway, bike lane, shared lane, walkway, lighting, landscaping and safety improvements for cyclists and pedestrians near the Ferry terminal on Olympic Drive. 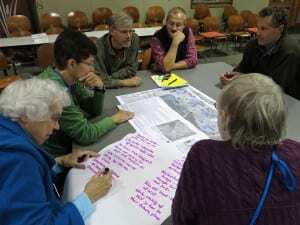 A break-out discussion group at the first public meeting for the improvements project for Olympic Drive, on October 29th, 2013, brainstormed ideas for design alternatives. The project is in its design phase, so the City is welcoming interested citizens to provide community input on design elements of the project. The City will present conceptual drawings of alternative designs for improvements, and is seeking public input prior to developing the final design. Construction is anticipated in 2015. For further information about the project, visit the City’s webpage for the project here. 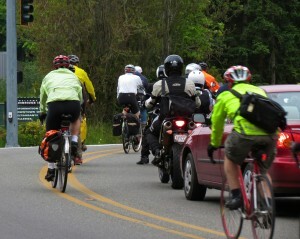 Cyclists and pedestrians contend with car traffic and safety issues on Olympic Drive near the ferry terminal. Credits: BCB Host, studio tech and editor: Lyssa Danehy deHart; BCB What’s Up music: Tim Bird; BCB ferry music: Dogfish Bay Studios; podcast art: artopia creative.